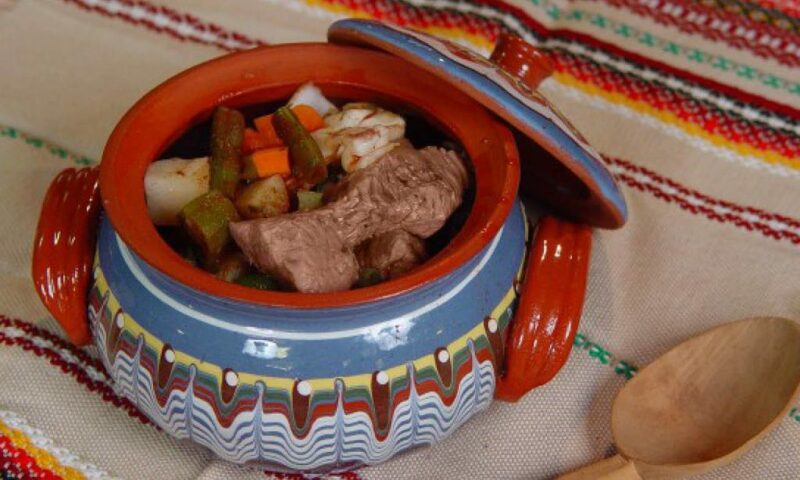 Named after the traditional pot it’s cooked in, a Gyuvech is a stew made with beef, mushrooms, peppers and onions and is then baked in the oven with eggs and Kashkaval (cheese). Tuck in! 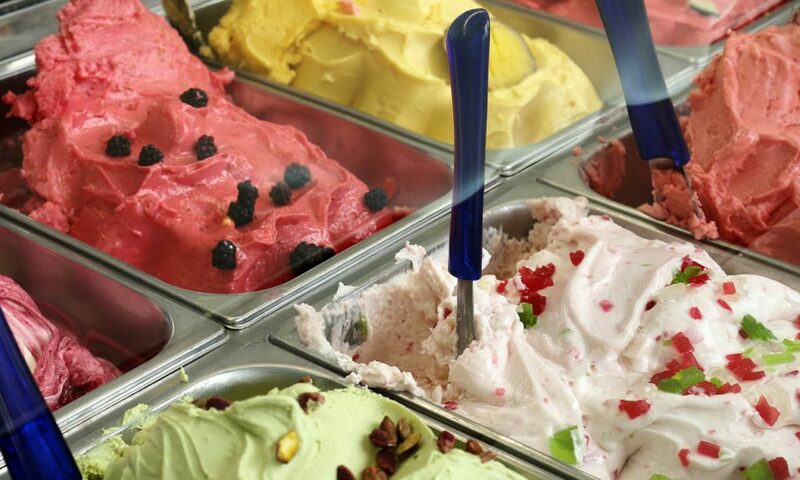 It’s hard to pick a favourite food in Italy from pizza to pasta to even tiramisu but one food you’ve got to try is gelato! The mandatory 2+ scoops per day will cool you down in the summer heat after visiting the top attractions. After a big night out in Ios, a gryos will be the best food you’ve ever eaten. 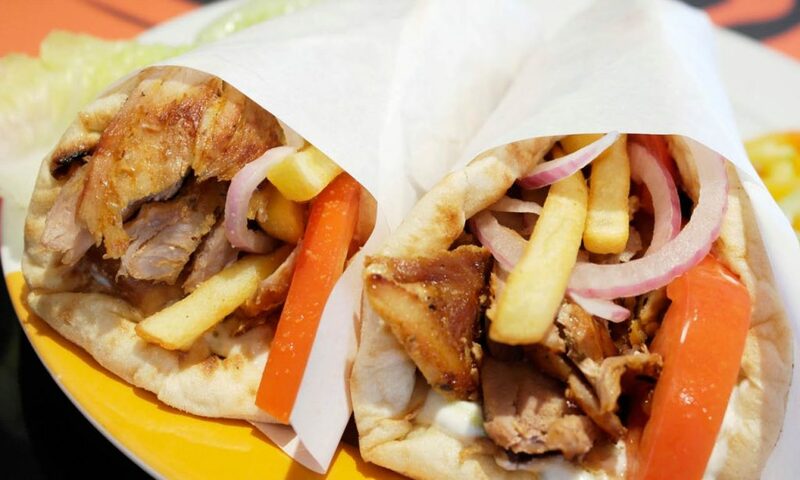 Chicken, lamb or pork wrapped in pita bread with tomato, onion, tzatziki and chips! Seriously no other drunk food will compare! 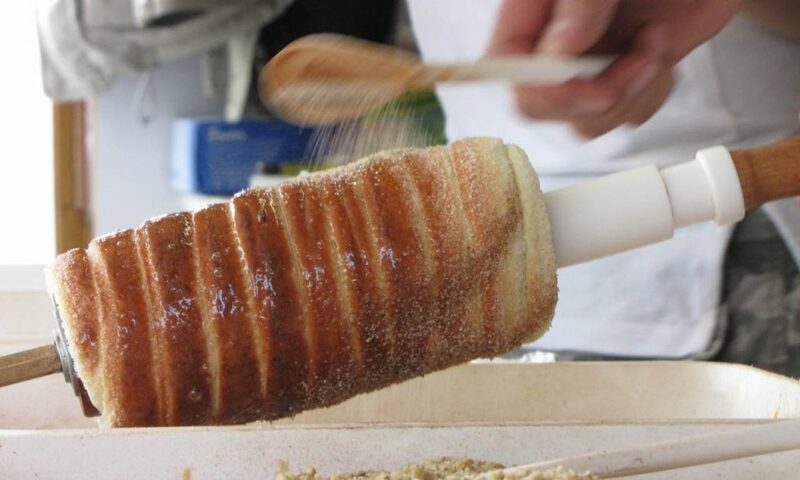 You haven’t been to Prague, if you haven’t eaten a Trdelnik! Even the aroma of them will draw you in! These sweet pastries are severed hot with a dusting of cinnamon, sugar and nuts – and for the ultimate sweet tooth filled with chocolate! 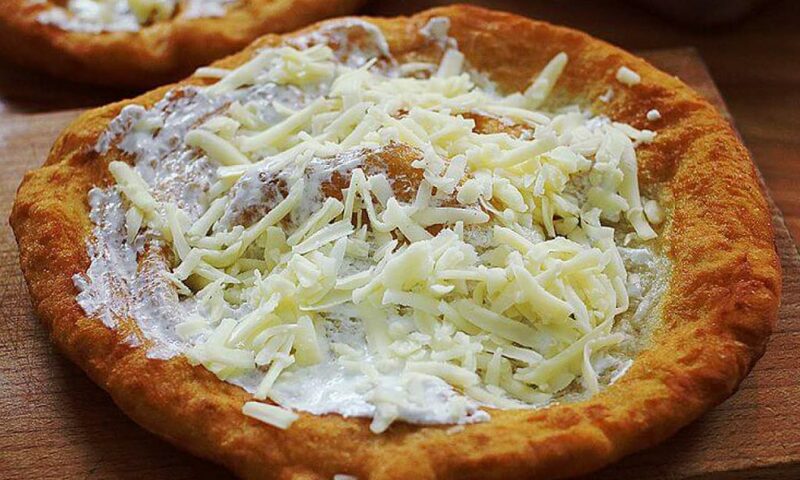 Popular Hungarian street food, Langos is deep fried bread (similar to a savoury doughnut), loaded with sour cream and grated cheese or garlic butter. Remember, calories don’t count on holidays! Save room for desert whilst you’re in Austria, because you will definitely want a slice of Apfelstrudel (apple strudel). 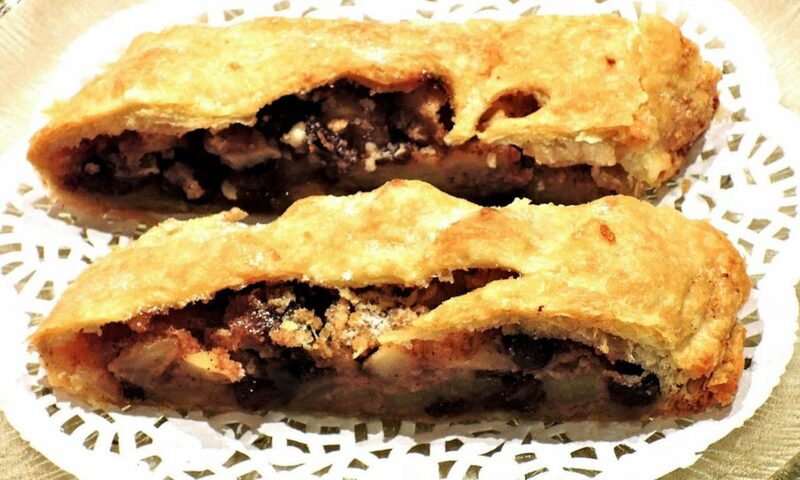 Flaky pastry filled with sweet apples and raisins, get some a local café or restaurant. Thank us later! 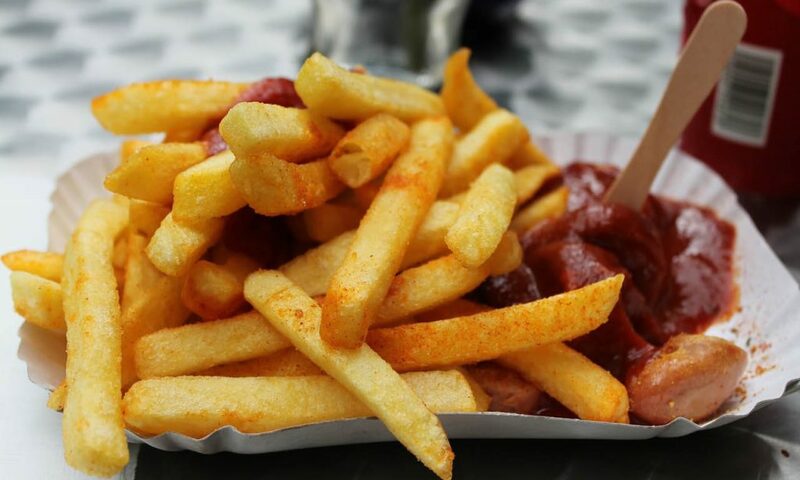 The iconic street food in Berlin, Currywurst is a pork sausage topped with curry sauce and is often served with pommes frites (chips). They even have a museum dedicated to it! 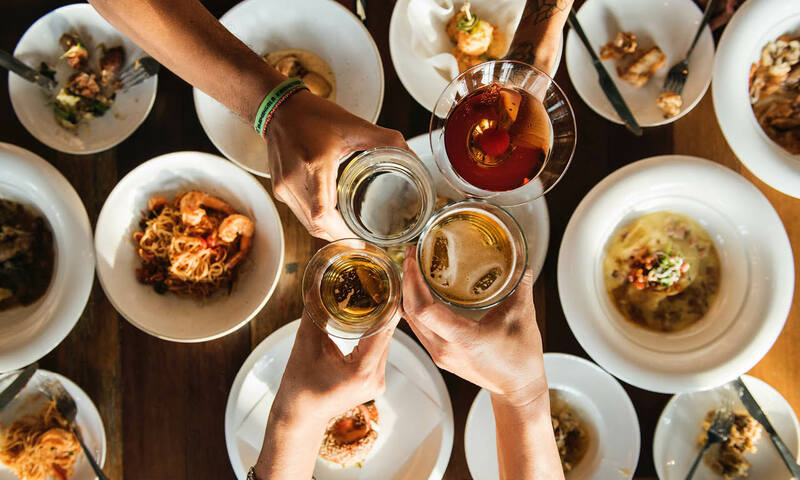 Follow your taste buds around Europe with our new Overland Europe Tours. Discover Europe East to West or West to East with tours ranging from 10 – 14 days as well as longer combo tours. Check out our Europe tours here as well as our Greece tours here.